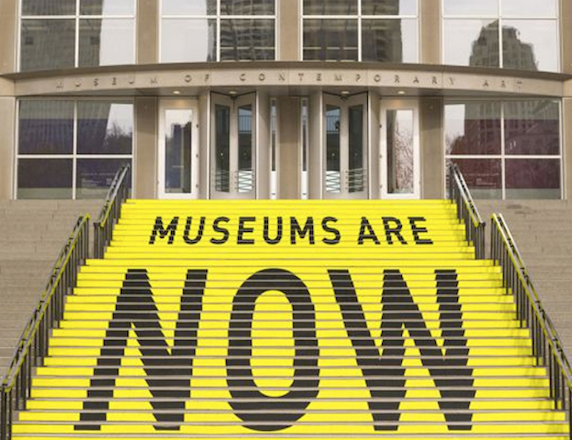 The art world is constantly changing and so are art museums. The nature and purpose of museums have been changing from purely cultural involvement towards a social experience. Different types of museums face different challenges when trying to adapt. Contemporary art museums have to accommodate large-scale multimedia pieces, which require new spaces, whereas traditional art museums face problems with maintenance of an old building. Regional museums close because of low visitors number; on the other hands big city museums are trying to manage large number of tourists. This essay will discuss the challenges that museums face in economic, social, technical and ethical fields and analyse possible solutions. The main challenge that the majority of museums have is a funds deficit. It has been announced that in 2015/2016 museums in the UK will experience a further reduction of 5% of government funding (BBC news, 2012) on top of 10-25% reduction in previous years. In the USA museums experienced 20-40% cuts due to the 2008/2009 economic crisis (Black, 2012). Museum Association “Cuts survey” (2013) indicates, that from 2011 to 2013 the majority of museums experienced more than 10% reduction in overall income. Decrease in income may have adverse consequences such as poorer maintenance of the building, redundancies, failure to fund new projects and update collections. Lack of resources may also lead to dusty displays at museums with art objects sitting on the shelves in an old-fashioned manner. Lack of dynamic change in the museums eventually results in decreasing number of visitors, reduction in opening hours and possible closure. In 2012 according to BBC News 22% of museums have closed during the year. There are two ways to adjust to budget restraints: to cut costs or to increase profits. Cutting costs does not necessarily mean reducing staff or opening hours: museums can benefit from shared storage and shared transportation costs. Museums from “Cultural districts” can have joint storage and, hence, split transportation costs. Another possible way to attract more visitors and split costs is through creating alliances: multiparty membership can cut advertisement costs, printing costs etc. Museums can increase their profits in many ways: “gift shops”, libraries, online shop, publishing, commercial filming, licencing, brand and product development. The strategy of increasing profitability depends on brand name, available funds and creativity. Many museums still have free admission entrance to their main collections, but charge for exhibitions. The debate about if the museums should be free of charge for educational purposes and how admission charges endorse inequalities, because only those who can afford to pay can go to the special exhibitions. In theory, the best way from a social perspective is to make entrance fees to temporary exhibitions optional: however, this might be possible only when museums generate enough profit to compensate the absence of income from these exhibitions. Another financial problem is that museums are very dependant on donations and sponsorship. Donations are not predictable and may vary from year to year. Whereas sponsorship is more reliable, but it might raise some ethical issues: how appropriate the business of the company is – is it acceptable to sponsor art with the profits of tobacco companies. Moreover sponsorship may involve bias and excessive control of the exhibition (Kirby, 1988). For example, BP’s long-lasting sponsorship of the British Museum (according to its website), provoked various protests and performances (eg Viking exhibition). John Sauven (2010) in “The Guardian” on the topic of BP sponsoring Tate Britain raised an ethical question of how a respectable museum can associate itself with the biggest source of pollution in the world. Many people suggest that museums should refuse such sponsorship, Jonathan Jones (2010) art critic and journalist presents a different opinion. He argues that usually the public is not even aware of which company contributes to exhibitions and “If they [museums] can get money from Satan himself, they should take it” to stay free and open for the public. The nature of museums has been changing over the last decades: from being purely educational and cultural to becoming more of a “social hub” (Black, 2012) involving all sorts of activities. Gift shops, libraries, restaurants and cafés, lectures and debates are very common in modern museums. The question is if these changes are driven by severe competition with media, the entertainment industry and technological progress. It was argued more than 2 decades ago (ed. Lumley, 1988), that television gives people better access to cultural places and museums are becoming redundant. Recent technological development might have worsened the situation, because Internet and TV offer high quality documentaries and museums’ virtual tours are accessible at home. However, media and museums have found a way to co-exist in modern environment. More and more museums have audio-guides, mobile apps, Wi-Fi and virtual tours. Multiple surveys confirm that people are still very interested in actual face-to-face experiences with art, as well as the opportunity to socialise and be physically involved. It might be argued that museums can benefit from further cooperation with the TV and the entertainment industry. A costume exhibition from the TV series Downton Abbey attracted almost 20,000 visitors in Nuneaton Museum according to “The Country Telegraph”. This type of project can be very beneficial, especially for regional museums: they can increase profit by attracting more visitors as well as increase brand awareness through associating themselves with popular cultural media. Apart from financial and social issues, museums can suffer from a technical problem – lack of display space. Only 5-10% of collection is shown in the museums, the rest stays in storage and some pieces might not be on display for years. This raises an issue of “unusable” heritage that stays outside publics’ knowledge. Lack of funds makes it difficult to change displays, because of the high costs of transportation, insurance, hiring a curator and setting up the exhibition. However, emerging markets and globalisation offer some solutions, such as franchising. Major museums are expanding nationally (Tate Liverpool) and internationally (Louvre Abu Dhabi), creating an opportunity for more parts of the collection to be presented to the public. Another possible solution is to sell part of the collection, which gives stored art a fresh audience. It will also partially solve financial problems in museums: however it undermines public trust (Kirby, 1998) and provokes issues such as selecting the pieces for sale, deciding on which subjects are less important than others and predicting future tastes. On the one hand, there are parts of the collections that were donated to museums and might be unwanted; on the other hand if the piece is sold and in twenty years there is increasing demand for such art, the museum is unable to satisfy publics’ interest because of the decision made years ago. Even though the Museum Association has strict guidelines of selling collections it is still subject to debate. For example, Northampton Museum and Art gallery sold a 4000 years old sculpture,which was covenanted never to sell. This sale raised a large amount of money (Apollo, 2014), but undermined Art Council accreditation and provoked differing public opinions. Unlike old museums, modern museums have already adapted to a changing nature of art and were built considering the scope and scale of art works. Contemporary museums may have a semi-permanent collection or not have a collection at all. For example, in China museums like the Rockbund Art Museum in Shanghai or the Times Museum in Guangzhou provide large spaces for exhibiting collections of international museums (Jouanno, 2013). Such international cooperation can benefit both emerging and established museums. The survey carried out by “Britainthinks” for the Museum Association (2013) revealed that the three main purposes of museums are caring and preserving heritage, educating the public, especially children, and improving the economy by attracting tourists. In order to “care and preserve heritage” art should be looked after in certain ways – maintaining temperature, level of humidity etc. As the number of visitors increases, the risk of damaging the art works increases as well; hence, to fulfil the main purpose of preserving heritage, museums will have to limit the number of people visiting museums in the future. Increasing number of visitors raises a lot of different maintenance issues, because buildings wear out, walls get soiled, and floors deteriorate. If the flooring is original from the XVIII-XIX centuries it becomes a part of history and heritage, which gets damaged over time. In 1987 the Louvre separated the stream of visitors by opening additional entrances, however, this might not be a viable option for other museums. Extended hours may be a solution to disperse visitors, but it significantly increases running costs (eg security, electricity, extra staff). Museums in the XXI century are in transition; they face different financial, social and ethical challenges across the world. Museums have to become more self-sufficient and operate more like a business. In order to do that they have to define objectives such as increasing customer base, increasing brand awareness etc. and creating a business case around it. Advertisement, loyalty schemes and membership cards will help to increase interest in permanent collections rather than one-off exhibition. Some problems may be regarded as “positive challenges”, as they provoke change and stimulate the progress of museums. Solving those problems means that the public will receive independent, modern, educating institutions with updated technology, accessible to everyone and appealing to different social groups. Artist Project Earth. (n/a). “Busily Pillaging: BP Viking Exhibition”. BP or not BP, Available: http://bp-or-not-bp.org/vikings/. Last accessed 05.10.2014. BBC News. (2012). “Cuts force more museums to close” Available: http://www.bbc.co.uk/news/entertainment-arts-18670386. Last accessed 01.10.2014. Black, G (2012). “Transforming museums in the twenty-first century”. New York: Routledge. p4-5, 39-45 . Country Telegraph. (2013). “Look: Downton Abbey fans flock to Nuneaton Museum for costume exhibition”. Available: http://www.coventrytelegraph.net/news/coventry-news/downton-abbey-fans-flock-nuneaton-5841825. Last accessed 01.10.2014. Gompertz W. (2013). “Spending review: Culture department budget cut by 7%.” BBC News, Available: http://www.bbc.co.uk/news/entertainment-arts-23060049. Last accessed 03.10.2014. Jones J. (2010). “Tate is right to take BP’s money”. The Guardian, Available: http://www.theguardian.com/culture/jonathanjonesblog/2010/jun/29/tate-bp-sponsorship. Last accessed 03.10.2014. Jouanno, E. (2013). “Lost in transformation” . Flash Art. No 291 (n/a), p94-99. Lumley, R. (1988). “Introduction”. In: Lumley, R., Museum time machine. London: Routledge. p14-15. Morton, A. (1988). “Tomorrow’s yesterdays”. In: Lumley, R., Museum time machine. London: Routledge. p135. Trustees of British Museum. (n/a). “Your support: success stories”. British Museum, Available: http://www.britishmuseum.org/support_us/your_support/success_stories/bp.aspx. Last accessed 27.09.2014. Wakefield, J. (2014). “Inquiry UK Regional Museums: Hard Times?”. Apollo. No 623, 42-44.